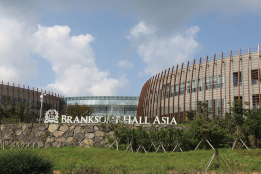 Branksome Hall Asia is an IB World Continuum School located on the UNESCO world heritage island of Jeju, South Korea. We are a girls school that welcomes students from Junior Kindergarten Prep to Grade 12. Branksome Hall Asia Junior School is co-educational and welcomes boys from JK Prep to Grade 3. We support our boys' transition to other schools at the completion of Junior School at the end of Grade 5. 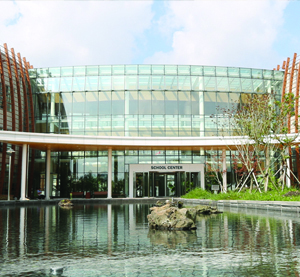 Founded in 2012, Branksome Hall Asia is the sister school of Branksome Hall. Now in its second century, Branksome Hall is an independent girls’ school in Canada, consistently ranked as one of the best boarding schools world-wide. 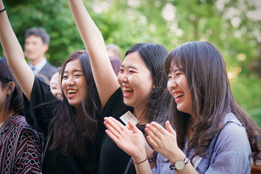 At Branksome Hall Asia, we share the mission, vision, and traditions that make Branksome Hall remarkable, with the benefits of an international award winning, state-of-the-art facility. 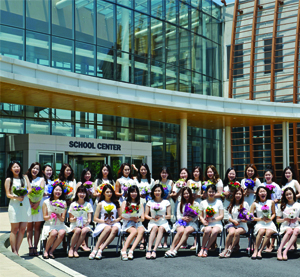 At Branksome Hall Asia, girls take center stage as they learn and grow. We challenge and inspire girls to love learning and shape a better world. The School's international faculty are committed to creating an international education that promises to support each student to discover within themselves a strong voice, their strengths and talents, to take risks, to step outside their comfort zone, and the power to live lives of curiosity, empowerment, and leadership through service to others. 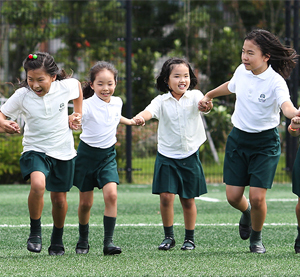 The combination of expert teaching, inquisitive learning, varied learning opportunities, and community spirit makes a Branksome Hall Asia education a transformative experience. 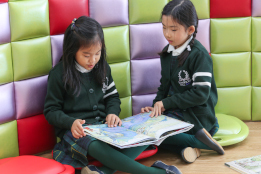 Our reputation for academic excellence, bilingual language learning, co-curricular offerings and a strong pastoral care program make Branksome Hall Asia the perfect learning community in which our students thrive and develop. We are passionate about educating girls and inspiring young women to become leaders in both the local community and the wider global community. For more information, please plan to visit Branksome Hall Asia.